Digital Sidekick | Is your product only understood in context? We create emotionally charged shells for functional products that forgo form. However, to generate attention and build an emotional bond with the customer, an appropriate brand face is required. To achieve strong brand identification, we develop a sidekick that is tailored to the needs of your target audience and corporate identity. Sidekick – a term borrowed from comic book jargon, which describes the supporting actor who helps the designated hero to heroism. 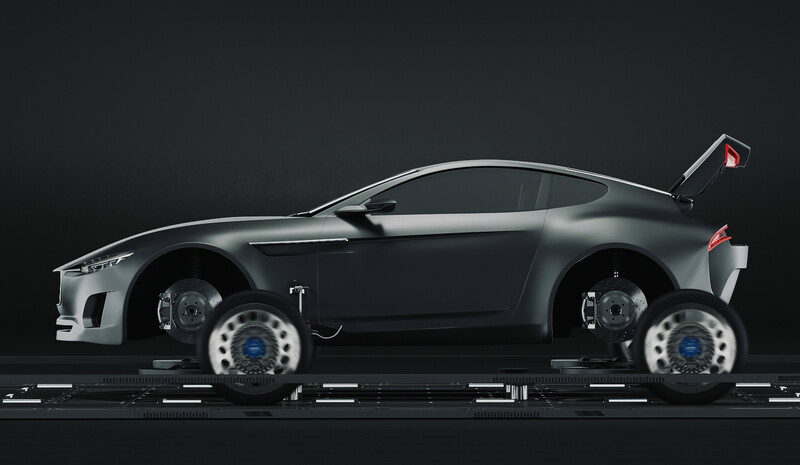 Similarly, the car serves the brake disc as a carrier into the perception of potential customers. As a result, we give companies and business divisions a face that fascinates with its design language. A shell that draws attention to the entire product range. We create cars, mascots or exactly that sidekick that supports your product. Is your product only understood in context? We design Sidekicks to build this context and support explanation. Step out of the shadow - And get the full attention! One major advantage of the sidekick is that it allows inconspicuous products to emerge from the shadow of foreign brands and shine in the spotlight. It is not the products of other manufacturers, which have been discarded from their logos, that carry away brand awareness within your own communication, but your very own brand ambassador. As a result, complicated copyright issues and the disadvantages of prioritizing certain brands are a thing of the past. Many products are invisible. Nevertheless, they are often parts of larger systems that are constantly being further developed and optimized in detail to meet future market demands. Presenting such innovations can be a tricky task. The sidekick, but also fictional environments, offer the right context to explain systems, functions and product benefits. Is your product only understood in the context? We design Sidekicks to build context and support explaination. By using a sidekick, product and brand communication captivate through visual charisma and gain uniqueness. The better a product is presented, the easier it is to win customers, as explained ability creates trust. Sympathy and an enhanced image support product performance and facilitate the purchase decision. See how you can use your sidekick!